Two Jackpoters were using racing as an excuse for a relaxing holiday in France this week. 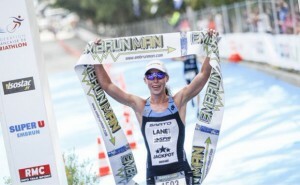 Catherine Emma Jameson managed to haul herself out of bed to record yet another win – that’s four on the trott – despite not really being there to race in the first place! And Tom Bishop put some good names behind him when he romped to fourth place overall [we’ll overlook you racing for Versaille Tri instead of Jackpot , Tom ;-)] ahead of Vincent Luis and Aurelien Raphael and featuring a sub-16 5k run. 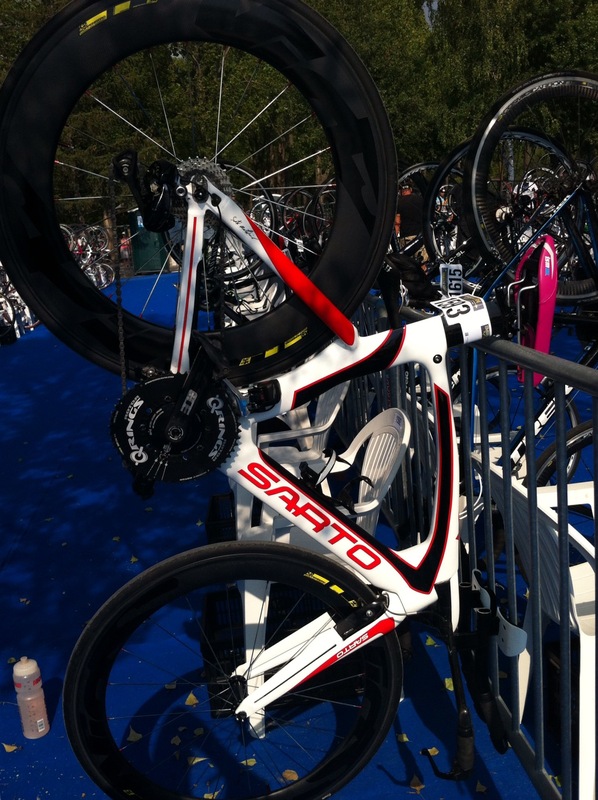 “This morning my alarm clock went off at 4:30am as I decided to race the Olympic distance event out here in Embrun. I’m actually mainly here to support Joel who is racing EmbrunMan, the crazily hard full distance race here on Saturday but I could not resist having a little hit out myself. The good news is that I raced hard and won, whoow. 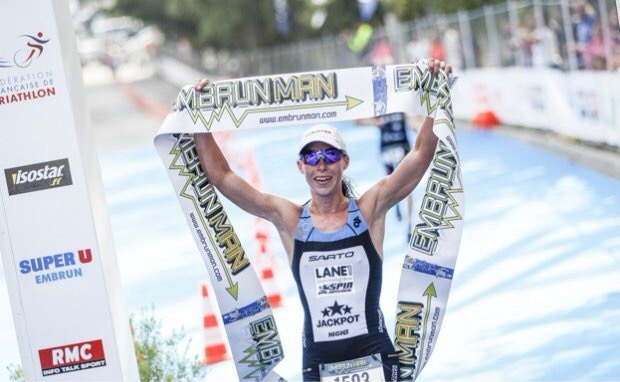 “I actually surprised myself as I have just done three races on the trot and had ten days since my last race in which I travelled out to Annecy to fit in a hard, short training block. The race today was amazing in many ways. I lead right from the start which is always a bonus for me, even though I feel like I’m looking over my shoulder at times! 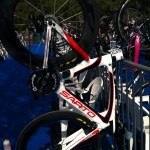 “The swim was pancake flat, the bike was ridiculously hilly and the run was really pretty round the lake. The best part of the race though was the amount of support out on the course. Where did all the people come from?! There were massive crowds lining the roads.. Literally packed in, even on the 16km climb out of Embrun.